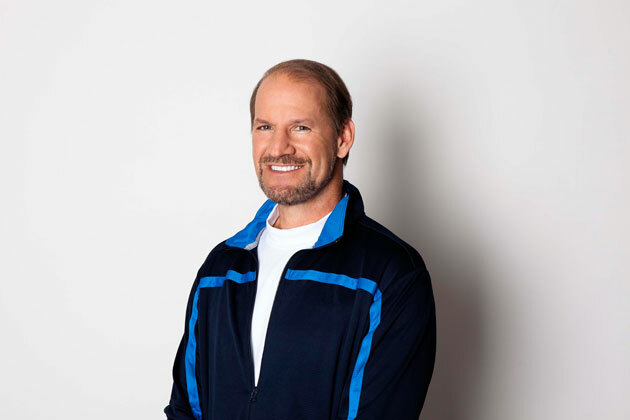 Bill Cowher has one of the most recognizable faces in football, but he’s hoping his popularity transcends the game that made him famous. Two years ago, the former Super Bowl champion head coach of the Steelers lost his wife to melanoma. In the time since, he’s become a strong advocate for awareness and prevention of this deadly form of skin cancer. He recently teamed up with advocacy groups and Bristol-Myers Squib to become the spokesman for a new public awareness campaign called Melanoma Exposed. Cowher stopped by the Men’s Fitness offices with Dr. Elizabeth Hale, a Clinical Associate Professor of Dermatology at NYU’s Langone Medical Center, on the campaign’s launch day to talk about how important the cause is to him personally, and the uphill battle the campaign faces to make people take the disease seriously. There are an estimated 160,000 diagnosed cases of melanoma each year. Statistically, that’s not huge. How hard do you think it will be to get people to realize the danger and get screened? Bill Cowher: If it’s detected early, it’s almost always curable, but once it gets into your body, it’s fatal. So we’re talking about a four-stage approach: Screen. Protect. Know. Tell. So the first part of that is to get screened. Go to melanomaexposed.com and you can find places in your neighborhood to get screened. The second is protection from UV Rays and understanding that no one is immune to this. It touches everyone, every race, not just blonde hair and blue eyes. Altitude is also an issue. The higher the elevation, the stronger the UV rays. The third: Knowing what to look for, knowing how deadly this disease is and then the fourth: telling your friends and sharing that information. Men are twice as likely to die from melanoma as women are, and I don’t think men are as aware. They’re not as mindful of the protections they should have. It’s a very dangerous cancer, one that’s very easily treatable when detected early. We’re trying to promote that through this campaign. And one of the ways you’re trying to do that is by getting involved with NFL teams. Is that to sort of make awareness seem cooler? BC: I don’t know if it’s cooler. If you look at coaching, coaches are out in the sun a lot, particularly during training camps. A long-time defensive coordinator for the Philadelphia Eagles Jim Johnson died from melanoma. With the NFL, we’re trying to be proactive and bring this awareness to people, and provide opportunities to get screened at a game, at a stadium. Because that’s the first step, being aware of your body and getting screened to create baselines and then getting checked on a regular basis. I think this is a great campaign. We’re trying to use that format and that platform to raise awareness, screening, protection, and knowing what to look for. I lost my wife to it almost two years ago. I’m just trying to do something proactive so no one has to through what I went through. With 160K diagnosed cases every year, how many more undiagnosed cases do you think go unreported every year? Dr. Elizabeth Hale: Skin cancer in general tends to go underreported more often than other types of cancer, and that’s because cases that are caught early are also treated on an outpatient basis like in a dermatologist’s office rather than a hospital. Although all melanoma cases are supposed to be reported to the US Cancer Registry, a lot of them are not. In men, melanoma is the sixth most commonly reported type of cancer. But men are much more likely to worry about prostate cancer. They’ve heard of prostate cancer, even though melanoma can actually be much more aggressive. The thing that’s really unique about melanoma—once it spreads, it’s one of the most aggressive types of cancer that someone can have. The figure you’ve cited is that men might be twice as likely as women to die from melanoma, but only nine percent of men think melanoma is a threat. BC: They don’t. They’re not aware of how dangerous it is and they’re just not as mindful of what to do about it. They’re less concerned about going out and spending an afternoon playing golf or a day at the beach and making sure they put the sunscreen on and take care of themselves. It is very deadly. Even though it starts on the outside, once it gets inside, it’s fatal. How do you break the misconception that it’s so easily treated? BC: You can treat it easily when it’s caught early. When you don’t, it can get under your skin and into your blood system and into an organ. It’s very nearly untreatable once that happens. If you don’t get it detected early enough, it’s deadly. It’s curable, but you’d better be proactive. But going back to the original question, how hard is it to convince a guy that the spot on his arm could kill him? BC: Hard. But like anything else, you cannot repeat a message enough. You’ve got to get examples out there. I watched it happen to my wife, who was 53 years old at the time. It happens fast and it’s deadly. Jimmy Johnson died from it. He was a football coach. He was out there and didn’t think anything about it, either. Until it happens to someone close to you, you may think it won’t happen to you, but it will, and that’s the message we’re trying to send. I think we’re trying to make sure everyone understands it’s not just blonde-haired and blue-eyed. It’s every nationality, every skin color. Bob Marley died from melanoma as well. So, no one’s immune from it. Everyone is susceptible to it if they don’t take care for themselves and do the little things. We’re trying to discourage the tanning booths and the tanning beds, all these things that are out there… An ounce of prevention is worth a pound of cure, and that’s what we’re trying to do with this campaign.